Penrose Diner at 20th Street and Penrose Avenue. 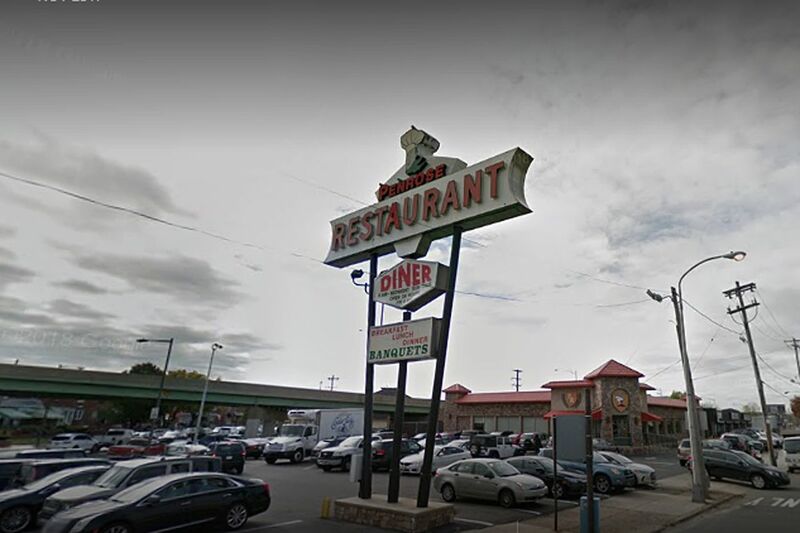 Penrose Diner in South Philadelphia will end its 50-year tradition of 24-hour operation at 11:59 p.m. Monday, reflecting changes among not only its customers but also the workforce in general. “The people in the 21-to-25 range are just not going out the way they used to,” Bill Dovas, an owner, said Sunday. The Penrose, at the intersection of 20th Street and Penrose and Packer Avenues, came to fame in a different era, benefiting from traffic off the Platt Bridge. “When they go out to the clubs, they’re afraid to drive and don’t want to pay for an Uber both ways," Dovas said. It’s a new world in overnight eating. Delivery services such as Uber Eats and Caviar bring food to your door with only light regard for the kitchen’s location. For hungry people who actually want to go outside for a sandwich in the wee hours, there is Wawa, which is engaged in a blitz of openings in the city. Though diners are a storied part of American life, few 24-hour joints remain in Philadelphia. The Oregon, also in South Philadelphia and co-owned by partners in the Penrose, still serves round-the-clock, as do the separately owned Midtown III in Center City, Melrose Diner in South Philadelphia, and some of the Michael’s Family Restaurants in the region. City Diner at Broad and South Streets, also owned by the partners in the Penrose, is open 24 hours on weekends. Dovas said the partners are reopening Olga’s Diner in Marlton, but are resisting 24-hour operation there. The Dining Car in Northeast Philadelphia briefly flirted with shortening its hours last year, "and it was a disaster,” said owner Nancy Morozin. After 57 years, she cut back the hours to 7 a.m. to 10 p.m. daily, citing slow business and the challenge of finding overnight workers. Then came a campaign from neighbors, including a parish priest who enjoyed his 5 a.m. breakfast before Mass. After one week, she agreed to open round-the-clock on weekends, from 7 a.m. Thursdays to 10 p.m. Sunday.